Earthcry is the brainchild of Asheville, NC based producer Anthony Thogmartin (also of Papadosio). 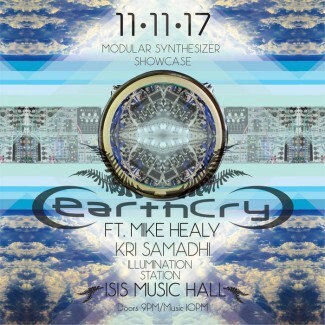 This is the recording from his one off improvisational experimental performance on 11/11/17 utilizing modular synthesizers. The result is a flow of colorful cascading rhythms and drumscapes patched together with in the moment effects, looping and frequency blending. Another unique compositional approach with a prodigious end result!